Back in the good old days, if you were looking to diagnose a problem with your car you simply hit the various parts with a hammer until it started to work again. Since then, electronic gubbins like ECUs and fuel injection systems have taken over and DIY mechanics have complained endlessly about these ‘black boxes’ taking away their ability to tinker. Well, fret no more. German software developer Carly – that’s the name of the company, incidentally – has produced a series of apps for BMW, Mercedes, Renault and most of the VAG brands. 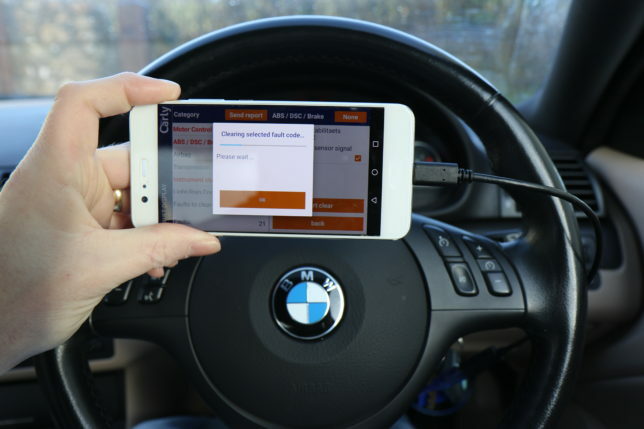 These allow you to connect to the car’s diagnostic port via a tablet or smartphone, making it possible to read and clear error codes, as well as carrying out basic coding. 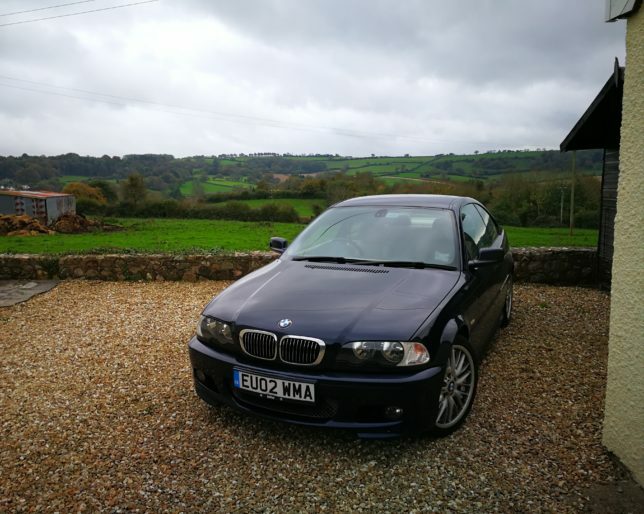 I decided to have a go with the Android version of the BMW app on my E46. 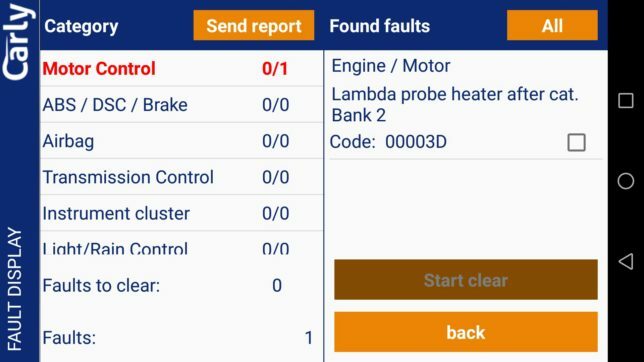 A 16-year old car isn’t perhaps the best platform to show off the capabilities of the software – compared to a modern machine it’s still comparatively gubbins-free – but in fact the app support goes right back to the E36. It covers all the major BMW Group models since then, including the MINIs from 2006 onwards. Getting started is simplicity itself. The app isn’t cheap at £54.99, but you simply purchase your copy via the app store and order an adaptor cable direct from Carly for £44.90 (in the case of the Android version). Armed with the app and the cable you plug into the diagnostics port, enter a couple of details about your year and model then get started. Some versions even come with a wireless adaptor so you don’t have to mess around with the cable. To my slight alarm, the first time I plugged it in, the app registered no less than 21 different fault codes that I never knew were there. (This is a car that runs perfectly and never has any untoward lights on the dashboard.) After a reset, all bar one of them went away. The lingering malfunction was reported as ‘00003D – lambda probe heater after cat bank 2’. A little bit of digging revealed this means one of the post-cat lambda sensors needs replacing. 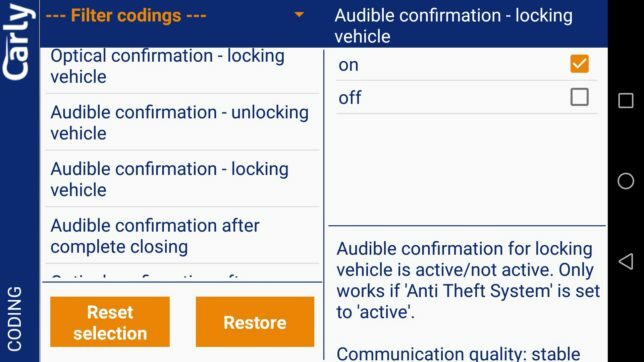 Access to the diagnostics information is probably the most useful function for an older car, but there are plenty of other features. Should you wish, you can reset the service indicator following home maintenance. 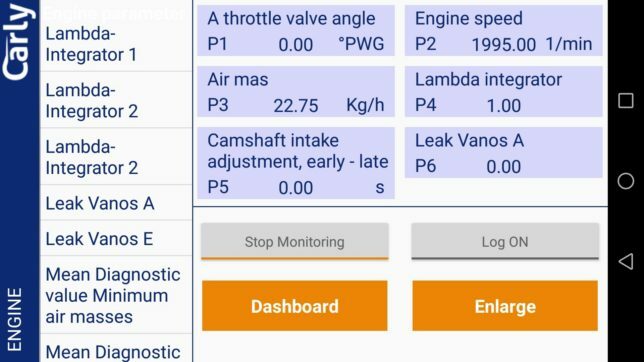 You can also access and log real-time sensor data for things like VANOS activation and mass air flow to aid fault diagnosis. And you can view the car’s mileage history including a ‘highest recorded mileage’ figure that could be used to detect tampering (fortunately mine tallied with the instrument cluster). Intriguingly, the app allows you to ‘code’ various software functions into the car. This is simply a question of ticking or unticking boxes to enable optional features. Most of it is fairly trivial stuff like whether or not the indicators flash when the alarm is activated, but even on an older car there is plenty to play around with. The bottom line is the more recent the car is, the more that Carly can do. Some models will allow you to alter your iDrive settings, perform service regenerations on diesels equipped with particulate filters or manually open and close the exhaust flap on the high performance petrols. Driving an E92 M3 with the exhaust flap permanently open must be worth the cost of the app alone. But as my hidden lambda sensor fault proves, even on the earlier cars it’s a useful tool to have. What is it that compels us to make impulse purchases on eBay? Sat in front of the computer I knew I was being sucked into something a little reckless. Actually, make that very reckless: A sight-unseen purchase of a car sold by someone I’d never even spoken to. To make matters worse, I’d been sucked into a last minute bidding war and spent getting on for twice my intended budget. Somehow I was now the owner of an E46 BMW 330 CI. Stories like this usually begin late at night after a couple of large glasses of wine. But I have no such excuses. Stone cold sober and at a perfectly reasonable hour of the evening, I had broken almost every rule about buying a second-hand car. In fairness, I had HPI checked it before taking the plunge and searched the MOT history for any hidden nasties. The advert was also a credit to the car’s owner, detailing work that included new VANOS seals, polybushes for the front suspension and a full set of (mostly main dealer) service stamps. Throw in a stack of paperwork several inches thick and it all looked rather promising. Sadly, I’d only noticed the car a few hours before the auction ended, so there was no time to arrange a viewing. Instead, I popped a couple of brave pills and set a reminder on my phone to get bidding at 6pm. And now here it is. 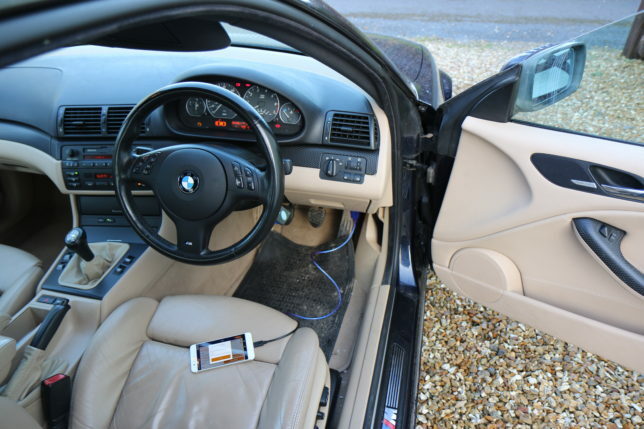 The car in question is a low-mileage manual 330 CI Sport; arguably the most sought-after of all the non-M E46s. It may be a long way off the motorsport-bred pedigree of an M3, but it’s as close as you’ll get without doubling or trebling the budget once more. 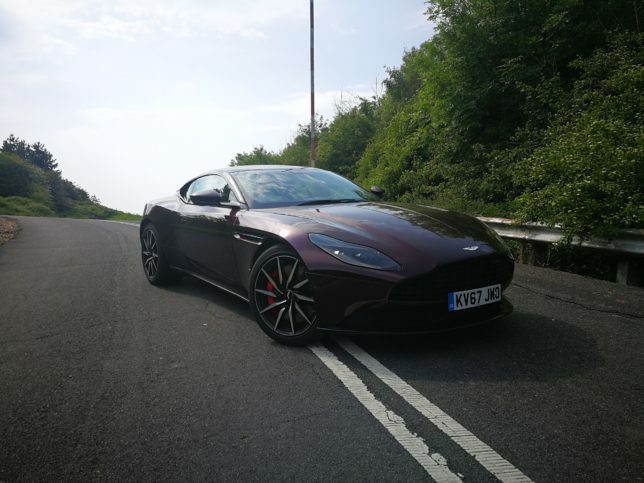 Touch wood, my gamble appears to have paid off – it polishes up beautifully, drives nicely and delivers a discretely potent six-cylinder howl. Nonetheless, I’ve vowed to stay away from auction sites for a while. Do you remember the first time you fell in love? In the automotive sense, I mean. We all have an affinity with a particular brand (or brands) and in most cases that obsession is forged in childhood. For me, it was TVR. In truth, my fascination with these brawny and often-problematic British sports cars probably stems from my dad. He had an old M-Series stashed away in a rarely-visited lock up garage a few miles away from our house. We also lived relatively close to one of TVR’s few main dealers, so my summer days must have been peppered with the sound of misfiring Rover V8s right from toddlerhood. 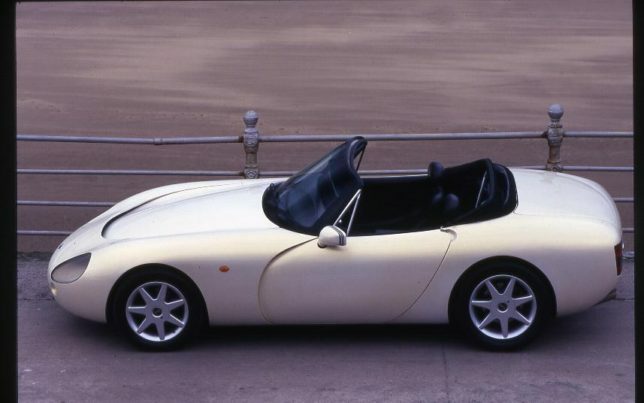 But my first distinct memory of seeing a TVR – the one I still think of every time I twist the key on mine – was actually a bright yellow Griffith in the Lake District. It was parked up in a small marina at the end of Derwent Water, looking like the ultimate lifestyle photo shoot. It was the beginning of the summer holidays, and I was still in primary school at the time, so it can’t have been much more than about 1992. This morning I was flicking through the Griffith buyer’s guide in the latest copy of Evo. In it, Peter Tomalin says he recalls driving the first Griffith press car 25 years ago this month. Where? The Lake District. Maybe he’s the one I’ve got to blame. Disruptive seems to be something of a buzzword these days, and it’s one that’s frequently applied to Tesla. The Californian brand brings a radical new approach to the way cars are designed, built and sold. This was easy enough to ignore when it was a few Lotus-based roadsters, but since the arrival of the Model S (some four years ago) the mainstream manufacturers have had to sit up and take note. Now, along with spiralling sales and a more affordable model waiting in the wings, Tesla’s much-anticipated Model X SUV is here. Inside, there’s the trademark Tesla minimalism. Virtually all the buttons and switches have been relegated to the giant 17-inch touchscreen. The design is clean and simple as a result, with just the right blend of the futuristic and the functional. In fact, that’s something that could be said about the whole experience. The performance is mighty – perhaps not quite as brutal as the 3.2 second 0-60 mph time for the Ludicrous spec P100D would suggest, but still otherworldly for a large SUV. Likewise, it can (to a certain extent) drive itself. Plus, of course, it has some of the coolest doors on a production car. And yet the general experience of driving the Model X is reassuring familiar. Refinement is excellent; not just the barely perceptible whir of the motors, but also the notable lack of wind or road noise. 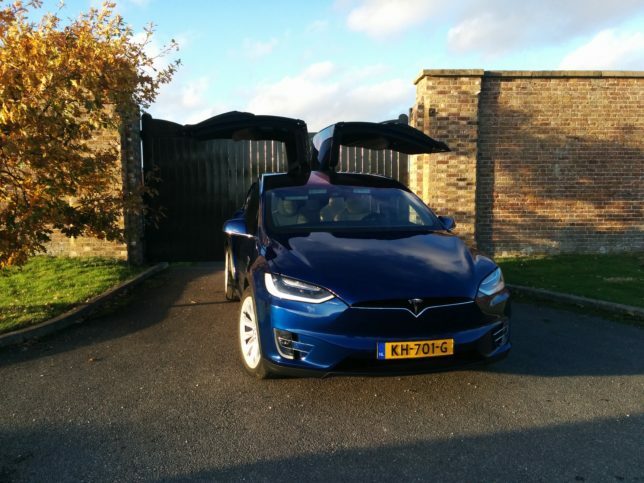 Combined with the smooth and responsive powertrain and great visibility it makes the big Tesla a very relaxing car to waft round in. Out of town, the Model X feels alert and easy to place, thanks to accurate steering with decent weighting and eager responses. You can occasionally sense the mass at work, but body roll is well contained and the regenerative braking feels quite natural. Ride is generally pretty good, but it can’t match the silkiness of something like a Range Rover. There’s also the occasional rattle from the trim if you listen carefully. None of this is really a problem when you consider the step on that the Tesla represents in other respects. The boot is huge; the third row of seats is usable (although not exactly capacious) for adults; and it will do up to 336 miles on a single charge (think 250 miles or so in the real world) with zero tailpipe emissions. And then we get to the Autopilot mode. We’re still some way from the point where you can take your hands off the wheel and catch up on some emails while zipping through central London. Think of it as an added layer on top of conventional radar-guided cruise control and you’d be closer to the mark. The system requires clearly defined white lines on both sides of the lane, which basically means motorways. It will deactivate if you take your hands off the wheel for prolonged periods and it won’t do its party trick – changing lanes at the flick of an indicator stalk – without them both firmly in place. Nonetheless, there’s something deeply impressive, not to mention a little eerie, about feeling the steering wheel gently but firmly guide you this way and that. I kept glancing down at the instrument cluster, which displays a stylised representation of the surrounding vehicles, and it always seemed to be fully aware of its environment. The jump to full autonomy is not to be underestimated, but don’t be surprised if Tesla gets there first – and sooner than you might expect. Of course, the Californian company won’t have everything its own way for much longer. Almost as soon as the Model X was announced, other manufacturers started unveiling electric SUV concepts. Once again, though, Tesla has beaten them to production. It’s going to be fascinating to see how this pans out. It has to be said, 2016 has been a pretty good year so far. I’ve got to experience some of my all-time motoring heroes and a whole host of new cars with enough litres, cylinders and turbochargers to power a small town. But one of my most memorable drives came back in the spring in my wife’s OAP-spec Toyota Corolla. I’m not about to claim that the 1.6-litre Corolla automatic is an undiscovered gem – although its dynamic talents are undoubtedly wasted on the majority of owners, quietly dribbling into their soup in Eastbourne. On British roads it has one major advantage, though; compliance. 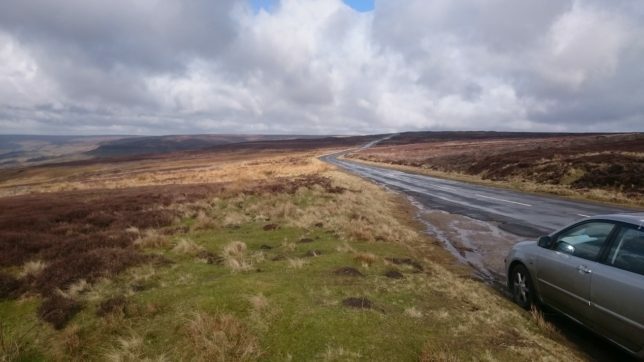 Across the stunning but bumpy roads that skirt the southern tip of the Yorkshire Moors, it ebbed and flowed with the contours. We made progress quite unbecoming of a Toyota Corolla and it never felt anything less than serene. Like all cars that inspire confidence it means you end up driving more enthusiastically than you would in something hard and spiky. 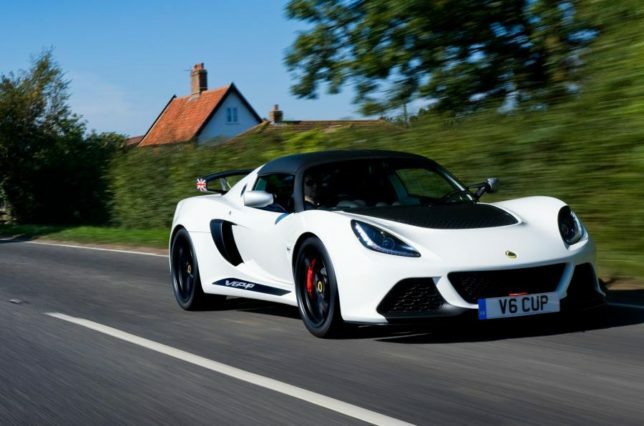 In case anyone thinks I’ve taken leave of my senses, let’s switch to the Lotus Exige Cup. This is actually a distant relative of the Corolla, through its Toyota engine (tenuous, admittedly) and I would say it’s the best handling road car I’ve ever driven. Here again, though, there has been a concerted effort to provide a degree of compliance. I’m not sure what voodoo Lotus employs to combine ride comfort and body control, but company founder Colin Chapman famously advocated the use of soft springs with firm dampers. Doubtlessly there’s rather more to it than that, but he was clearly onto something. 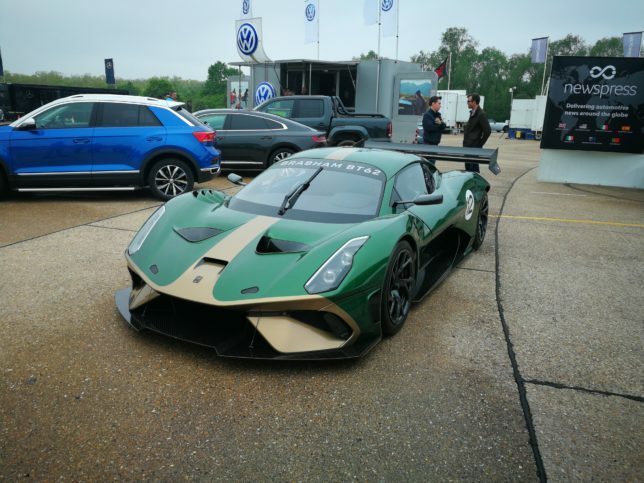 Even cars that do incur substantial amounts of roll are often better for it in the real world, where you rarely have the chance to exploit the instant weight transfer that pays dividends on a track. The same could be said of tyres. These are a much underestimated factor in the car’s overall compliance and tuning their stiffness is every bit as crucial as that of the suspension. 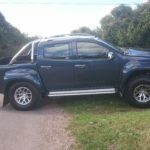 What’s more, steering feel – any that actually survives being transmitted back through a modern electrically-assisted rack – is heavily influence by the way the tyre deforms during cornering. Without a certain element of twist in the carcass the car wouldn’t turn, and certainly wouldn’t provide any feedback. Again, though, the quest for more incisive response is leading to stiffer and stiffer constructions. As if to underline this, I recently drove two of the best hot hatches of recent times, the Honda Civic Type R and the Ford Focus RS. Both are relatively mainstream road cars – driver-focused, yes, but still proper four seaters with room for the family and a week’s shopping. And yet both have the option of activating a stiffer mode for the suspension that we’re advised is too firm for some race tracks. I repeat: race tracks, not the roads that these cars are designed to spend the majority of their time on. Don’t get me wrong, there’s something intrinsically appealing about a car that feelings like it’s escaped from parc ferme. I do like the theatre of jostling ride and whining differentials, but it’s a bit over the top most of the time. My recommendation to the ride and handling engineers? Take a drive in a 2003 Toyota Corolla. It might surprise you. What makes something fun to drive? Ignoring the one percent of the time where you really get to stretch a car’s legs I’d argue it was sense of occasion; something that makes ordinary journeys feel that little bit less … ordinary. 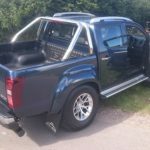 Perched up in the cabin of this Arctic Trucks modified Isuzu D-Max you certainly have a different perspective on life. Other traffic scurries out the way (although that’s perhaps due to my driving) and you look down upon the hoi polloi in their crossovers. 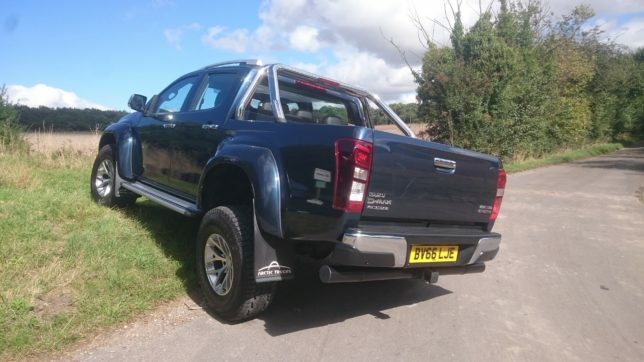 It’s the sort of vehicle that brings out your inner kid – a giant Tonka toy. It’s also surprisingly good, in a slightly agricultural kind of way. The 2.5-litre four-cylinder diesel engine is a touch clattery at idle and it makes its presence known under acceleration, but on a cruise the cabin noise is better than some budget SUVs. There is a touch of shake and rattle, but a notable absence of roll, thanks to suspension designed to carry a one tonne payload on top of the surprisingly lithe 2,030 kg kerb weight. 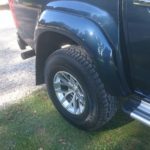 Even on its mildly comedic 35-inch balloon tyres the Arctic Trucks AT35 handles neatly. 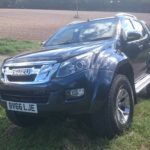 Coming from a normal car the steering requires a mildly alarming number of turns to go from lock-to-lock, but the £30,999 AT35 is no different to the standard D-Max in that regard. It’s still a world ahead of the old Land Rover Defender in terms of both refinement and dynamics. That’s not to say it’s a limousine. 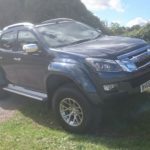 Opt for the manual version and it comes with a proper truck gearbox – long on throw and not inclined to be hurried – but that to me adds to the appeal. Once you’d got used to parking something well over five metres long you could potentially use this every day and yet I don’t think it would ever feel routine. 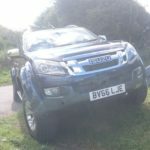 If that sounds ridiculous – and I guess it is unless you live on a building site or some far flung patch of the Yorkshire Moors – consider the number of people cruising round Chelsea in pimped up Defenders. Now the hipsters have sunk their bearded ethically-sourced teeth into Land Rover, perhaps this is a way to really stand out? There was a time when you knew what to expect from an AMG-fettled C-Class: A big naturally aspirated V8 up front, rear-wheel drive and an honest, muscle car simplicity. Outwardly you might assume the C43 Estate was more of the same; perhaps a detuned version of the C63 (itself now sporting a pair of turbochargers)? But you’d be wrong. The C43 comes with a twin turbocharged V6, for a start. 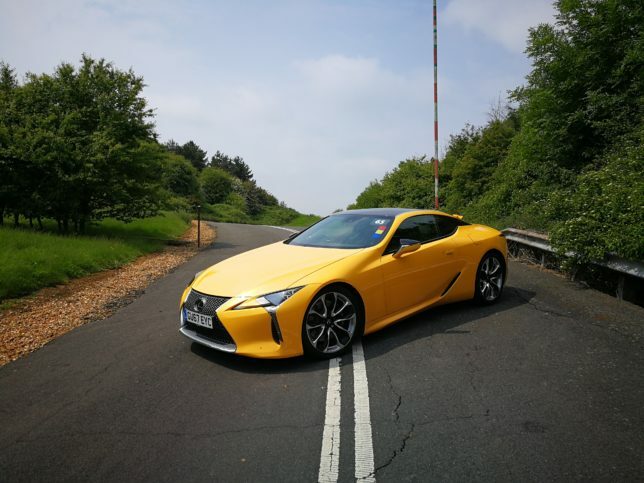 Perhaps more intriguingly, it’s four-wheel, with a 39:61 front-to-rear torque split. Arguably, it owes more to the A45 AMG hot hatch that it does to the bahn stormers of old. It takes a second to recalibrate your brain to the soundtrack. The V6 sounds good, but it’s an altogether more cultured noise than the rather thuggish V8 in the C63. You’d struggle to tell it was turbocharged too, with pin-sharp throttle response and no discernible lag. But you don’t quite get the full force of the engine at low revs, almost as if there’s some subtle massaging of the torque curve going on to mask the effect of the turbos. 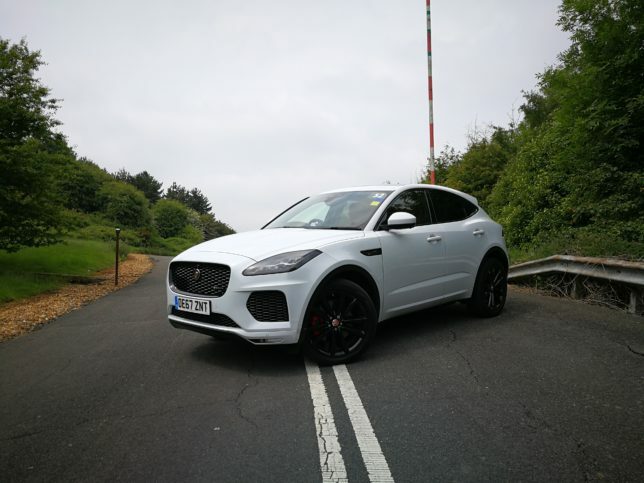 It’s actually a very satisfying feeling – one that encourages you to hold the gears a little longer than strictly necessary when operating the nine-speed auto in manual mode. For a relatively large car the C43 Estate feels surprisingly agile. Most of the time you could be forgiven for thinking you’d slipped into the two-door coupe. Only under heavy braking do you start to sense the extra mass. In contrast to the slightly feral nature you might expect from a big AMG, the C43 feels composed, sophisticated and perhaps just a little bit restrained. That’s no bad thing in a family estate and it’s worth bearing in mind that it’s more than £16,000 cheaper than the full-fat C63 and doubtlessly a whole lot cheaper to run. 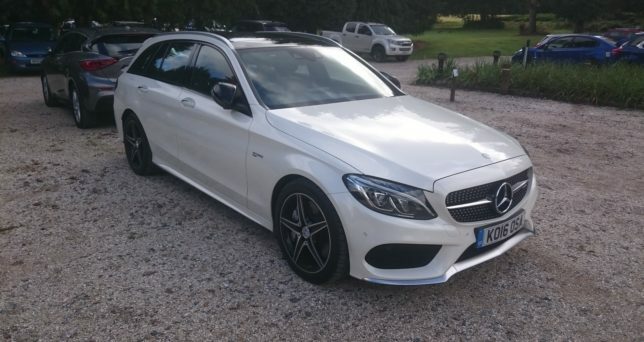 For £45,660, the C43 4Matic Estate actually looks like something of a bargain. Right now a friend of mine is driving the new Bentley Bentayga around Europe. Lucky him you might say. And you’d be right – not least because the car has attracted a lot of positive attention along the way. A few years ago this would have been unthinkable. 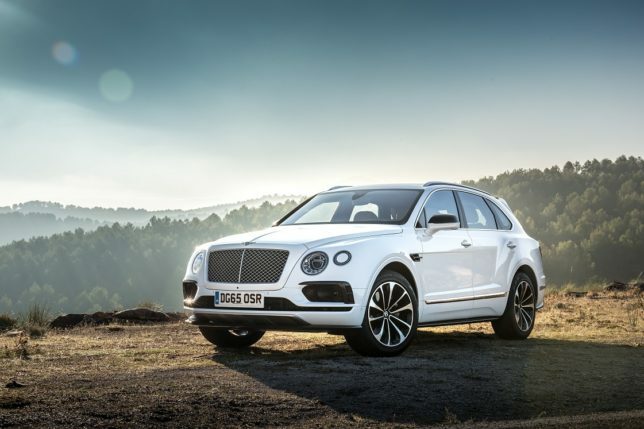 The mere concept of a Bentley SUV had the purists spluttering into their Dom Perignon, but somehow the Bentayga (pronounced Ben-tiger I learnt the other day) has become an accepted part of the automotive landscape. For what it’s worth, I think it’s a good fit for the brand. Bentleys have never been flyweight track cars. 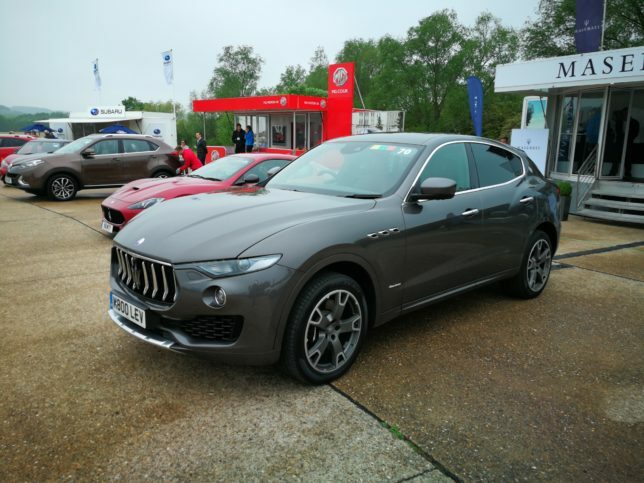 Ettore Bugatti famously described them as the world’s fastest lorries (there again, he had just been beaten by them five times at Le Mans) so a stately SUV with a sporting edge seems like quite an apt evolution. The same definitely goes for the forthcoming Rolls Royce Cullinan. I may draw the line at a Ferrari SUV, though.